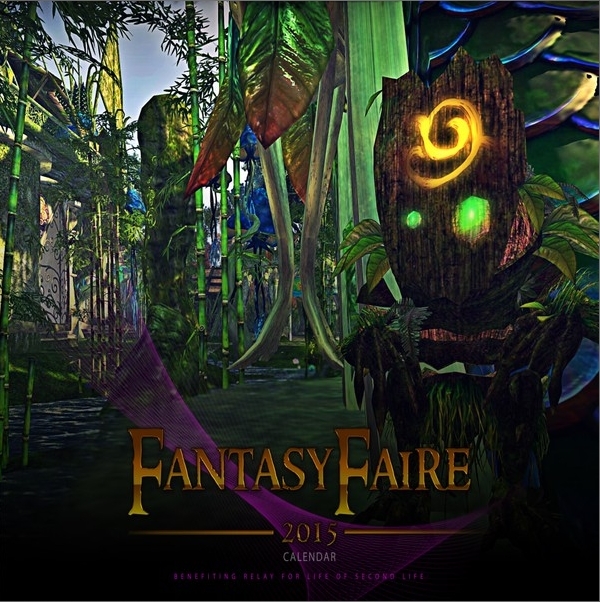 The Fantasy Faire 2015 calendar really is yours to own! 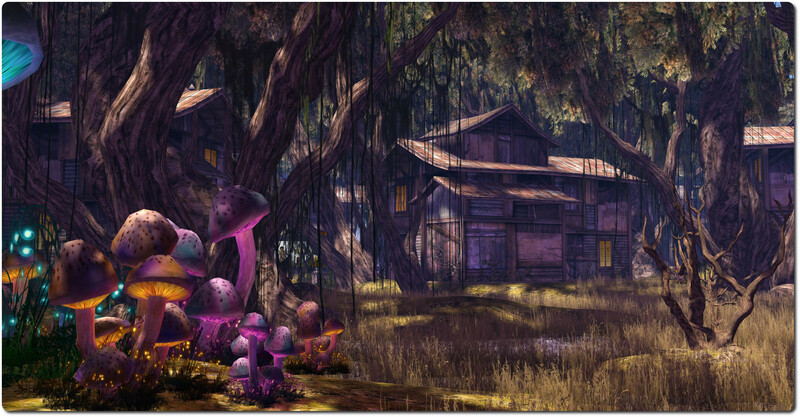 Fantasy Faire is without doubt one of the highlights of the year for all of us involved in Second Life. 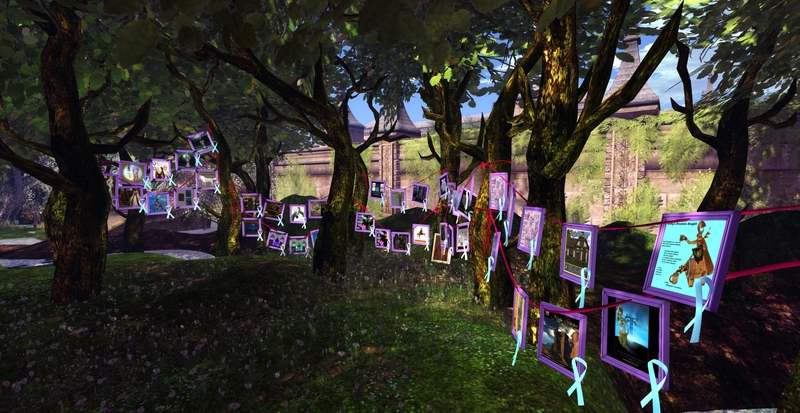 As a part of the Relay for Life of Second Life season, it brings with it the opportunity to immerse ourselves in incredible worlds and places, visit stalls and shops, engage in quests, quizzes and games, participate in role-play, auctions and more – and all the time help to raise a staggering amount to assist in the fight against cancer. But each Fantasy Faire brings with it a melancholy of its own. Eventually, after the Faire has run its course and the gates have closed, the wonderful places lovingly created for each season’s Faire “go away”, most of them never to return. All we’re left with are fading memories and the images we’ve captured and saved on our computers. Which is why, in 2014, the Faire organisers ran the Dream of a Lifetime competition. In it, visitors were invited to submit up to 12 photos each to the Fantasy Faire contest Flickr group, which they felt best captured the spirit of the Faire. 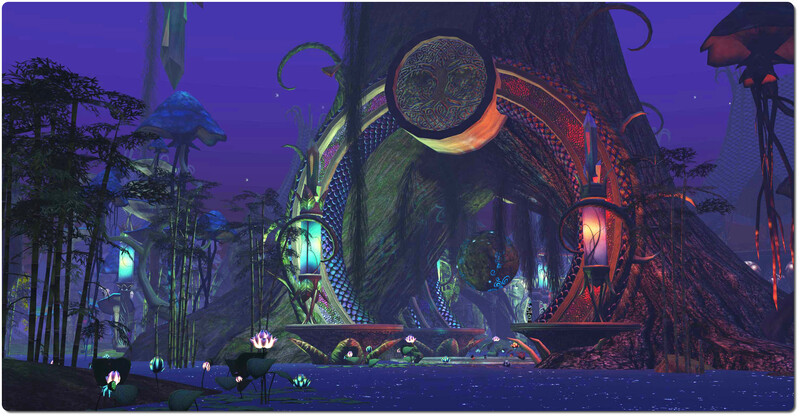 From this pool, a panel of judges picked 12 images to be included in a special 2015 Fantasy Faire calendar which would be printed and made available in the physical world for anyone wishing to purchase it. Now, and right on time for Christmas, that Fantasy Faire 2015 calendar is available to buy on-line for just UK£12.18 (US$14.99 – you’ll have to check other currencies for yourselves!) + shipping. Delivery will take around 3-5 days, so if you order quickly, you’ll have the perfect Xmas gift for family and friends. 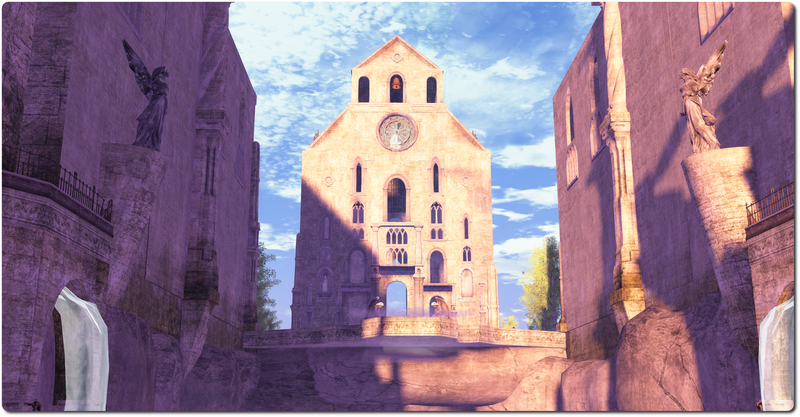 What’s more, all profits from purchases of the calendar will go to Relay for Life of Second Life. Ursula Floresby (cover / The Faerie Court) Justen Tyme (January / Hope’s Horizon); Alisaundra Andel (February / Asperatus); Wildstar Beaumont (March / Palace of Tears); Caitlin Tobias (April / Mourningvale Thicket); Cayenne Republic (May / Fairelands Junction); Vylna Daviau (June / Heavenslough); Gabrielle Swindlehurst (July / Wiggenstead Mooring); Judith Lefevre (August / Medhir Woods); Tamarind Silverfall (September / Faerie Court); CharuStar (October / Blackwater Glenn); Beq Janus (November / Hope’s Horizon); Pokute Burt (December / Sanctum). 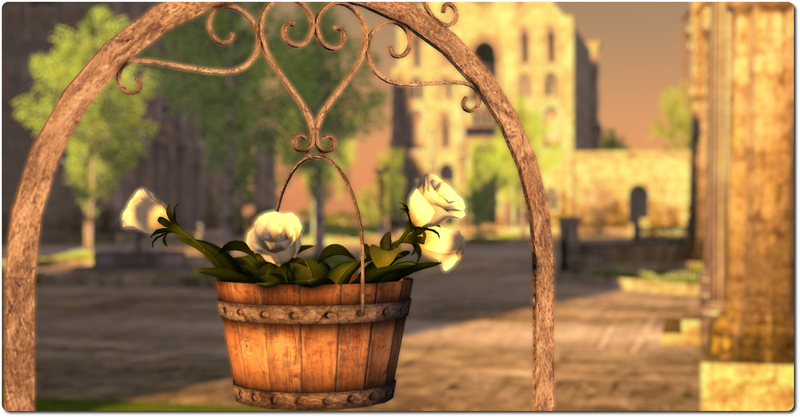 And that’s not all; the calendar will also be available shortly through the SL Marketplace for just L$500, so you can have it in your home in-world as well. Each Marketplace purchase will include a special extra – but I’m sworn to secrecy on that until the in-world version is available! 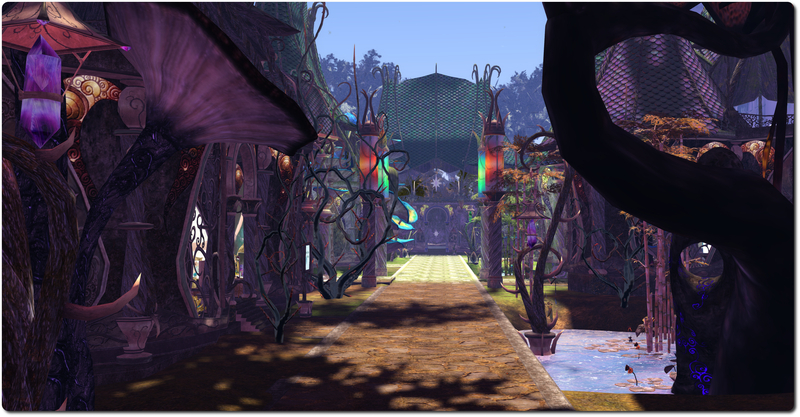 Rynn Verwood’s Medhir Woods lives up to its description of an elven outpost. For most of us, I’m sure, the mention of elves leads to images of Tolkien’s elven races, proud and tall, surrounded by an air of mysticism and calm, offering havens of peace in a turbulent world of change. And so it is with Medhir Woods. 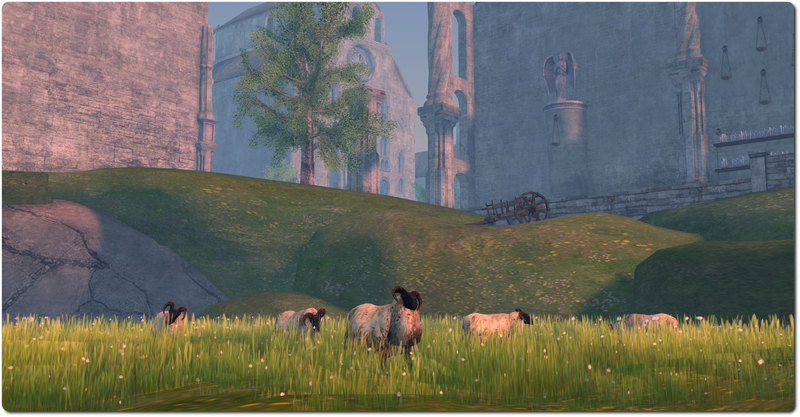 Arriving in the region, particularly when the fairelands are busy, is akin to how it may have felt in entering the valley of Imladris after a long journey; one discovers a place of peace and welcome amidst all the bustle. The feel of Middle Earth is unmistakable here as one wanders the streets between the houses. 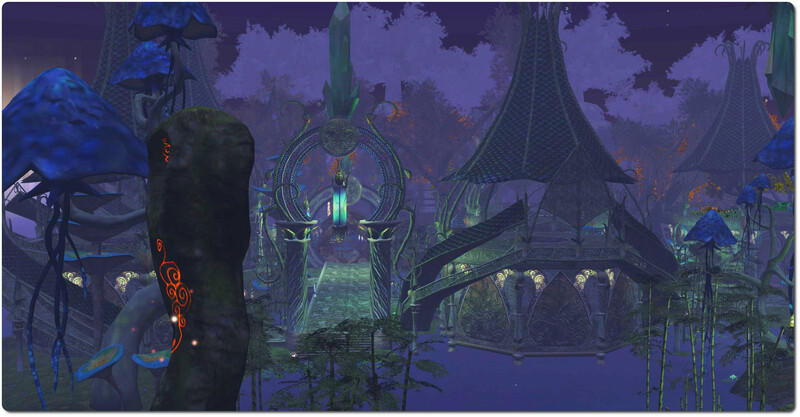 The latter may not be as other-worldly as the designs of elves as imagined in Peter Jackson’s films, but given this is a forested enclave, the buildings have the right elven feel about them. 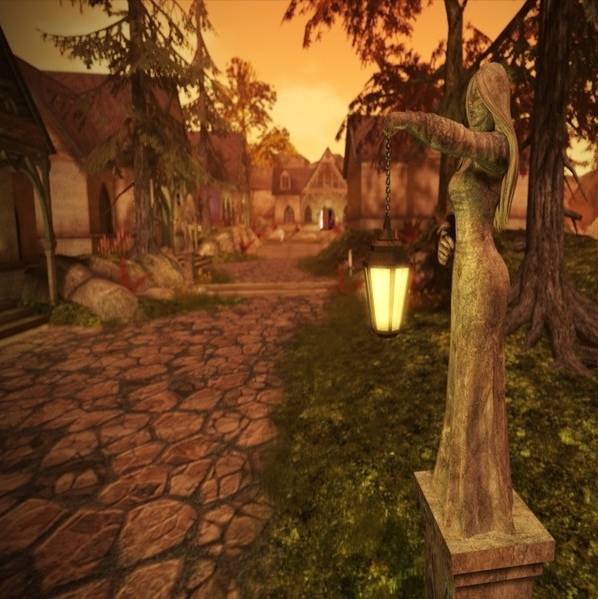 Chimes sound in the wind as one explores while birds call and sing from the surrounding woods, and the ways are lit by lamp-bearing statues with a decidedly elven look. Of course, the feeling of being deep within Middle Earth is somewhat heightened by the tall bulk of Hope’s Haven which rises to the north of Medhir Woods. But even without this, when one takes the design here, complete with a slightly misty, perpetual autumnal sun-set, it is hard not to feel as if one is within an outpost from the twilight years of age of the Elves, when the Dominion of Men has come to the fore. 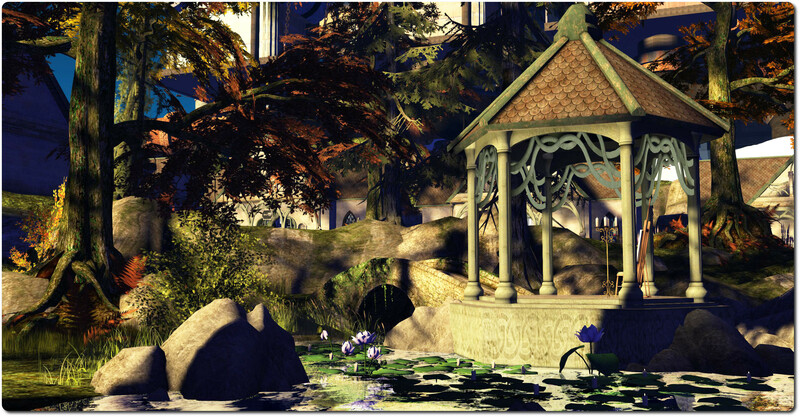 For those seeking further respite from the excitement and rush of the Faire, Medhir Woods offers a place of sanctuary (and also the scene of role-play earlier in the week) even amidst its own calm. This can be found under the arch from the landing-point and down the stone steps. Follow these as the lead to a greensward overlooking the bay around which Medhir Woods sits. Here there are benches located in the arms of the stone stairs, offering a place of rest and contemplation. A small gazebo stands close to shore at the edge of the greensward, reached by a stone bridge, and offers a view westward out over the inland sea. 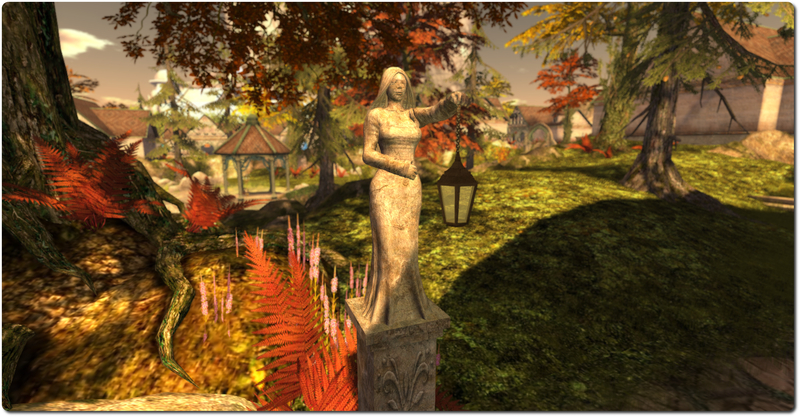 A photogenic location, Medhir Woods is a delightful setting, one which, for me, stands as a favourite place in which to spend time while at the Faire. There is something delightfully playful about Kayle Matzerath’s builds for Fantasy Faire. Luminaria, his build for 2013 for example, presented a wonderful and colourful town of winding streets, broad gardens and gingerbread houses and stores. 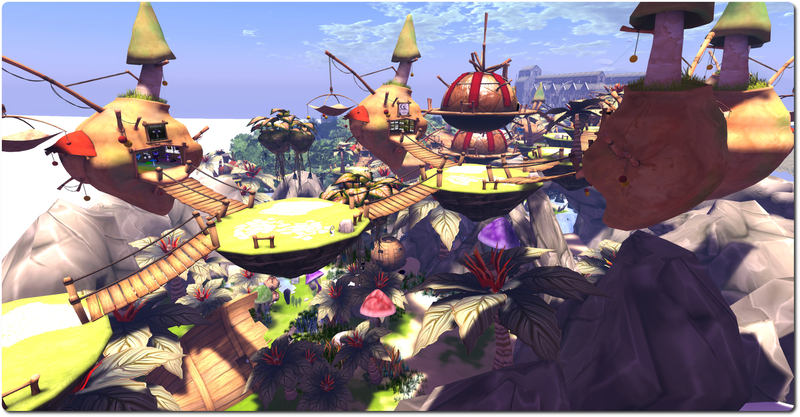 Having stepped into the breach at the eleventh hour after Nya Alchemi had to unfortunately withdraw due to health reasons, Kayle has this year created a place of heartwarming whimsy with Wiggenstead Mooring. 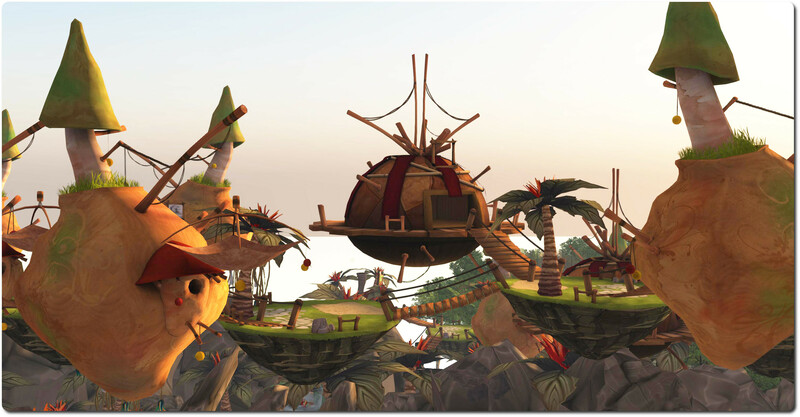 With its floating islands linked by rope bridges occupying the sky over a rocky land filled with great flowers and huddled trees, where water offers a place to bathe or paddle, it’s hardly surprising that the Rickety Weasels established their clubhouse here. 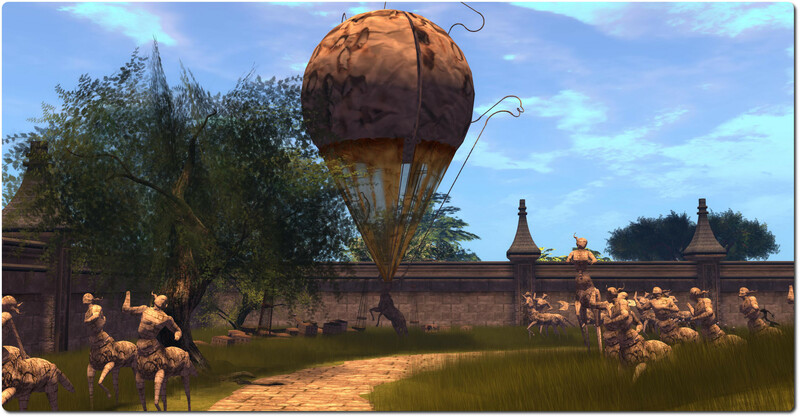 One would be hard put to find a more playful environment anywhere in the Fairelands. Up on the islands, the stores are a whimsical delight, with some looking like tepees, a patchwork of hides stitched together, draped with cloths and held-up by stout poles, others looking as if they’ve been built from dried mud and with mushroom-like growths sprouting from their tops chimney-like. Linking the islands supporting the stores are smaller islands on which sit palm tree-like plants topped with brightly coloured flowers. Such is the design here, you cannot help but smile as you walk from island to island across the bridges – something which can be as restorative as finding a quiet corner somewhere and simply sitting down. Travel to the south-west corner of the region and you’ll find the Jolly Crocodile. Here loud-mouthed Fimbleby awaits your challenge and to get you on the road of the Fantasy Faire Hunt. Solve the puzzles here and you’re ready to participate in the second part of the hunt, which takes place in the Palace of Tears – but you’d best hurry if you’ve not already faced Fimbleby; he’ll be packing-up his things and heading home when the Jolly Crocodile closes its doors as the Faire draws to a close on Sunday May 11th (although the Palace of Tears hunt will continue for another week to give you a chance to draw breath and complete all of the hunt). Close to the Jolly Crocodile is a bridge leading down to ground level. Take this and you’ll find paths to explore through the rocks and plants. 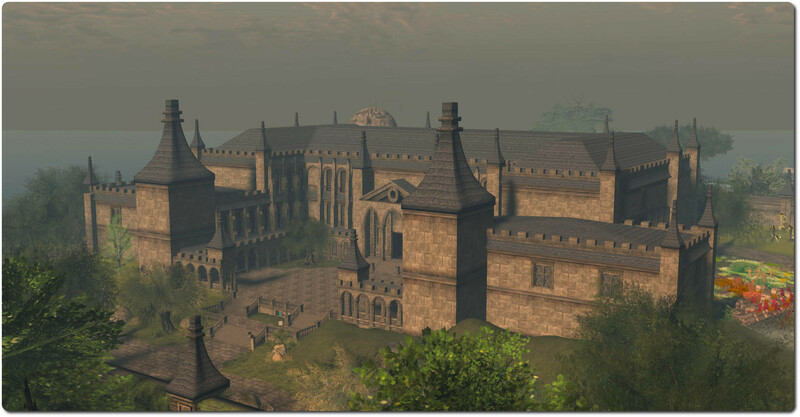 Deep among these sits the headquarters of the Fairelands Sheriff’s Association, ready to extend the long arm of the law (as they have been throughout the Faire) and ensure the peace is kept. Don’t miss, as well, the little island in the bay on the north side of the region. 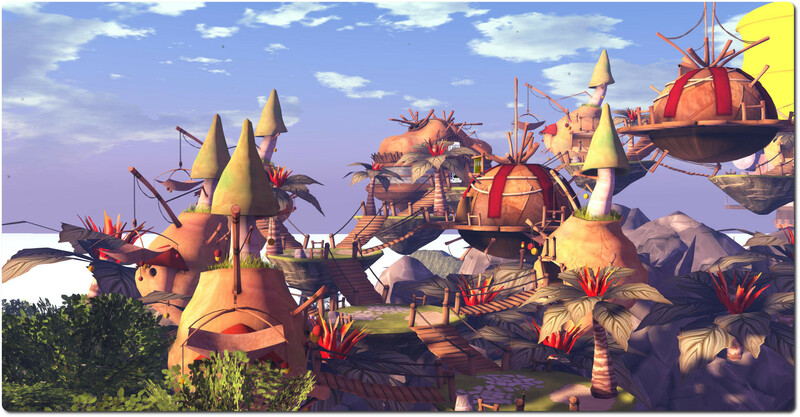 If there is a word to be used to sum-up Wiggenstead Mooring I’d likely settle on “fun”; it’s fun to look at and it’s fun to visit and as such, in many respects, it is a visualisation of one of the elements which lay at the heart of Fantasy Faire for all who attend. One of the staples of Fantasy Faire is the Silent Auction, which sees a wide range of exclusive items auctioned quietly to bidders. 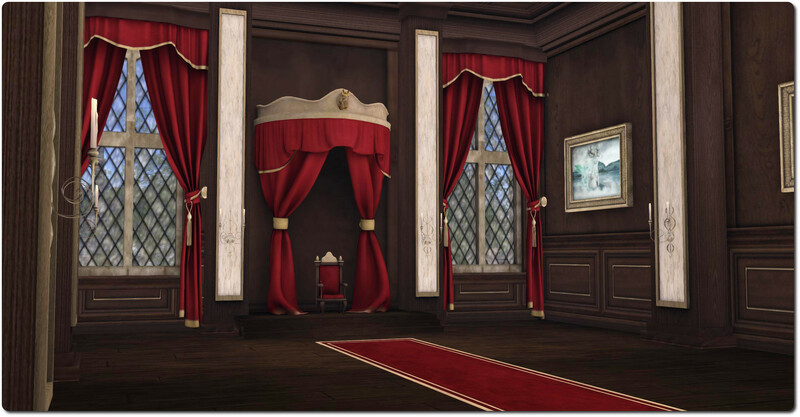 This year is no exception; bidding opened on Tuesday May 6th and remains open through until 17:00 SLT on Saturday May 10th. 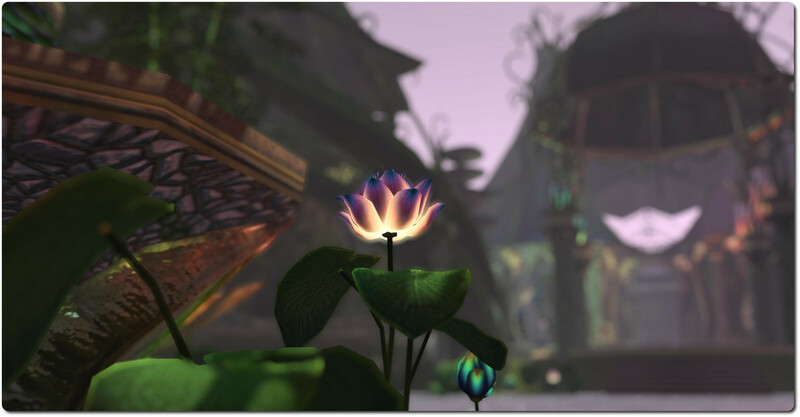 Some 39 items have been donated to the auction, including avatar skins, outfits, accessories, buildings, avatars, and much more. 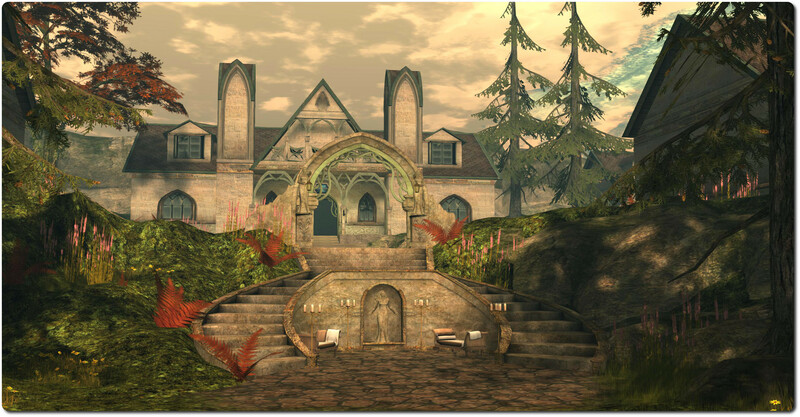 You can see the items on offer at the Fantasy Faire silent auction web page. To bid for any item, hop over to Fairelands Junction. 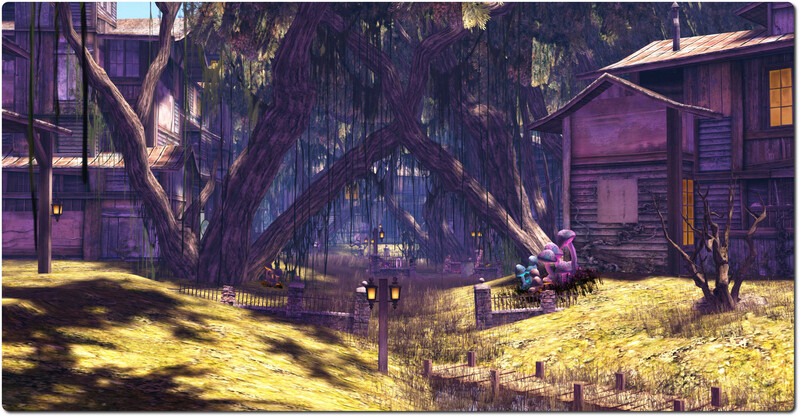 You’ll find all the items hanging on red ribbons strung between the trees there. most of the images of the items on offer have the required information about them. However, clicking on any of them will deliver a note card containing all the information you’re likely to need. Bidding is triggered by clicking on the blue ribbon alongside an item. These display the minimum bid required. Note that no money is changing hands as a result of a bid, only the winning bidder will be charged at the conclusion of the auction. Remember as well that this is a silent auction. so you’ll need to keep track of those items you’re bidding on! 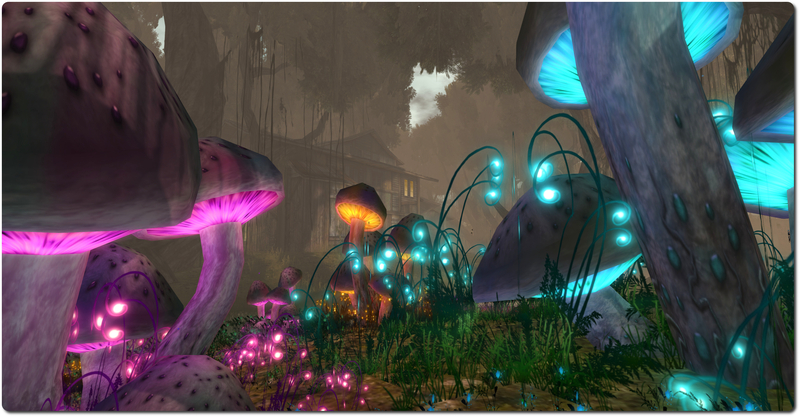 Are you inspired by one or more of this year’s Fantasy Faire builds? Are you moved to express your inspiration in words or a poem? 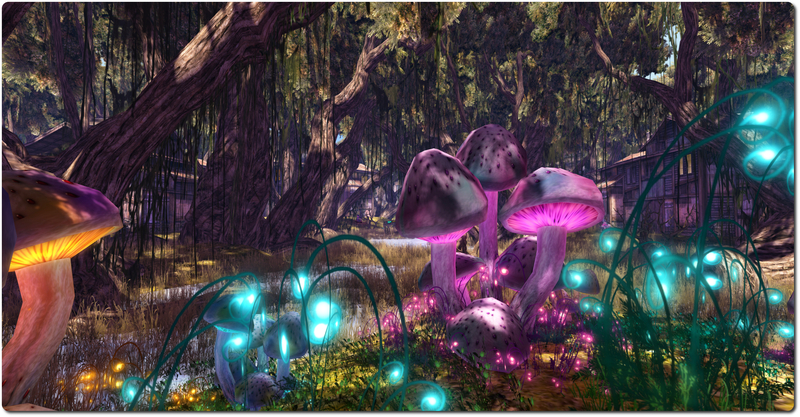 If so, then the Fantasy Faire Short Story and Poetry competition may be for you! All you have to do is write a story (500-3000 words) or poem (10-50 lines) on one or more of this year’s Fantasy Faire regions. It can be on any subject you like, so long as it reflects the setting(s) of the Faire. You can include as many of the regions as you wish, and even the inland sea. You don’t have to give long descriptions of the region(s) you feature, or even name them, but the settings should be obvious to the reader – if someone has to stop and think, “wait! Is this Medhir Woods or Mourningvale Thicket?”, then it won’t work for the judges. Your entry can, however, be sad or happy, witty or wise, evoke laughter or tears – or any and all of these. The choice is yours. The ten winners, as selected by the judges, will be published in the September issue of Prim Perfect Magazine. Entries should be submitted in TXT, DOC or RTF format to: fantasyfaireshortstory@gmail.com, and should arrive no later than Saturday May 31st, 2014. You can read more on the competition on the Fantasy Faire website, where you can also read last year’s overall winner. 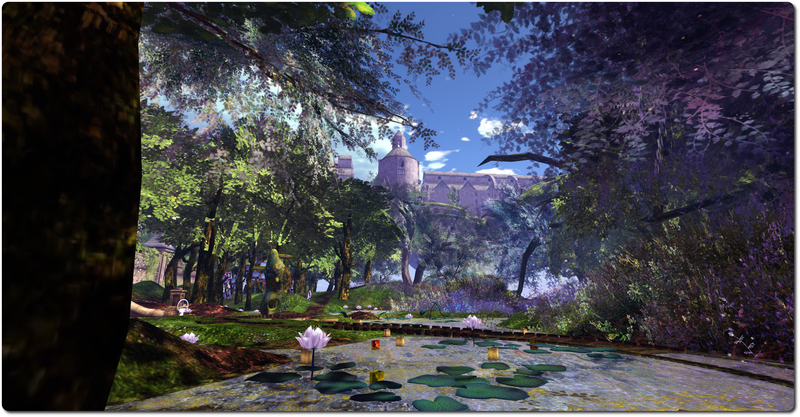 Jaimy Hancroft’s Hope’s Horizon is, for me, one of the visual high points of this year’s Fantasy Faire. Any tackling of Tolkien’s world-famous mythological fantasy of whatever kind, be it from The Hobbit through The Lord of the Rings to an aspect of The Silmarillion or The Lost Tales, is never going to be easy. Courtesy of Peter Jackson and New Line Cinema et al, in the case of The Lord of the Rings (and now The Hobbit), we have some very clear mental pictures as to how things “should” look which may even have supplanted years of imaginings when reading the books; so any attempt to re-imagine any of the more staple elements from the history of Middle Earth is a gamble. 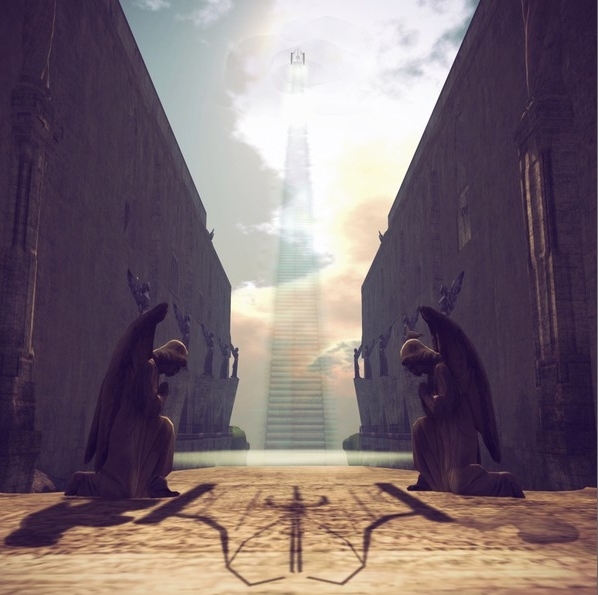 But with Hope’s Horizon, Jaimy has, despite limitations of scale and space, presented a fabulous homage to Tolkien and the magnificent walled city of Minas Tirith – the Tower of the Guard (or Watch) in the elvish Sindarin tongue. 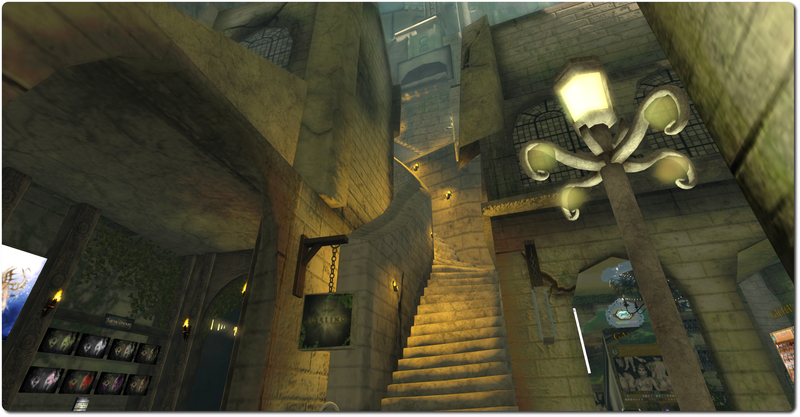 Obviously, trying to recreate the entire city in an area just 256 x 256 metres in size and which remains large enough for avatars to explore with ease isn’t really possible in SL (unless we all opt for really tiny avatars! 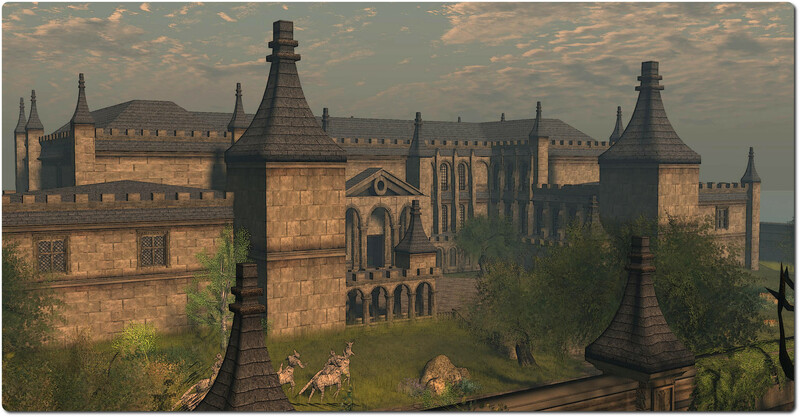 ), but almost all of the key elements of Minas Tirith can be found within Hope’s Horizon, which still maintains its own identity which allows it to set itself apart from the inspiration behind it and stand as a beautiful build in its own right. 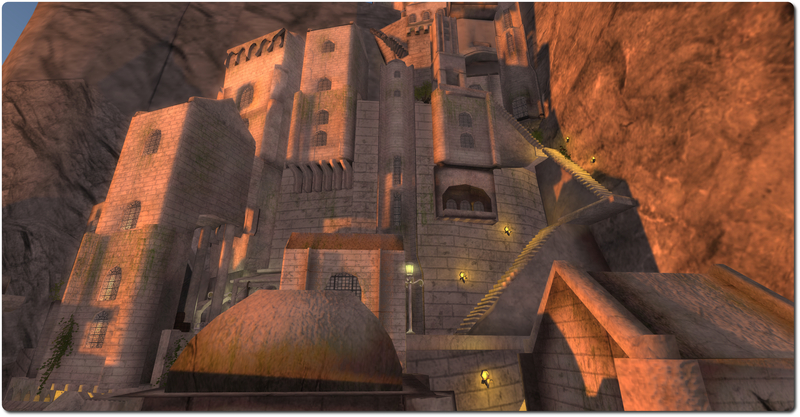 From the arched entrance of the Great Gate, guarded over by the ever-vigilant Dwarfins on behalf of the city folk, one can wander the broad stone streets of the city, lined with shops, then climb slowly up the stairs, level by level, perhaps resting awhile on stone benches or taking time to look down over the lands below. The stairs wind slowly up the shoulder of the hill upon which the city sits, sometimes rising with side walls to prevent you stepping off into space, sometimes clinging precariously to the face of naked rock. Careful footing is required if you wish to ascend to the top of the high hill. 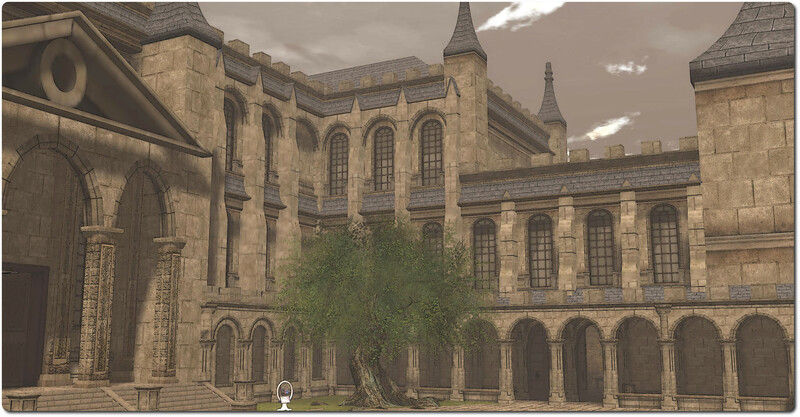 But if you take care and remain sure-footed, you’ll eventually arrive at the Citadel atop the great rock, which has been flattened and paved and where the White Tree stands tall near the far end of the long out-thrust shoulder. 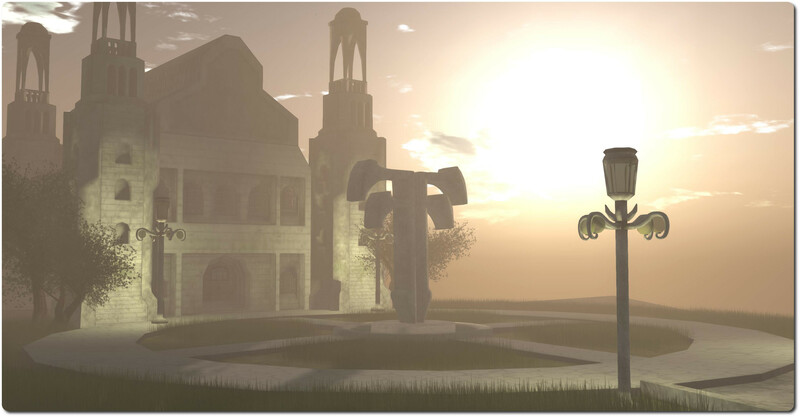 This is more than an homage to Tolkien however; as Jaimy reveals the build is dedicated to her father, a huge Lord of the Rings fan, and who lost his battle with cancer a few years ago. 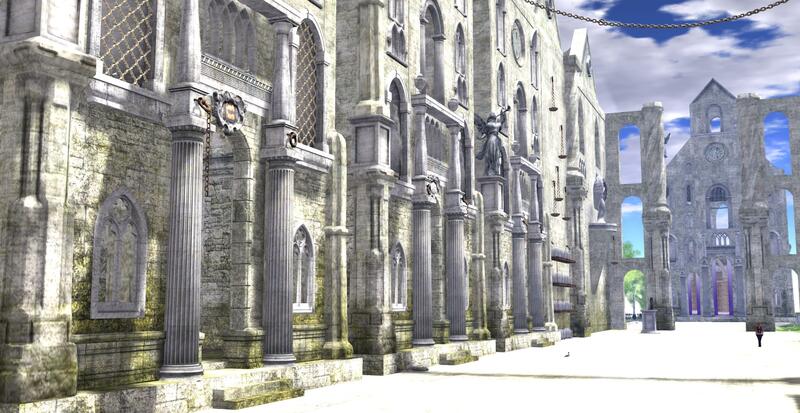 Given the scale and beauty of the build and the way in which it captures the spirit and essence of Minas Tirith, it is a more than fitting tribute. Blackwater Glenn sits away to the west from Hope’s Horizon and is a realm of a very different nature and colour – or perhaps more correctly, colours. The description of the region doesn’t sound all that encouraging at first reading – talk of decay and swaps and general ruination as nature seeks to reclaim an old town. But this is a region born of the fertile minds of Marcus Inkpen and Sharni Azalee of The Looking Glass fame, and so all is not as it seems. Yes, there is the encroaching waters and yes, the tall reeds are alive with the chirping of crickets and one is advised to keep to the wooden board walks in places if one wants to keep one’s feet dry; and yes, the buildings are in a state of disrepair. But this is also a place of vibrant colour, which bursts out across the region in the form of multi-hued fungi and plants, new life growing to replace the old, giving a sense of renewal and hope for the future. And anywhere butterflies turn and play in the air can’t be that bad, now can it? Nor is the place as dank and one might expect. The sun can still shine here and the buildings, although decrepit and aged, retain their own colour such that as the sun falls on them, a sense of welcome surrounds them. 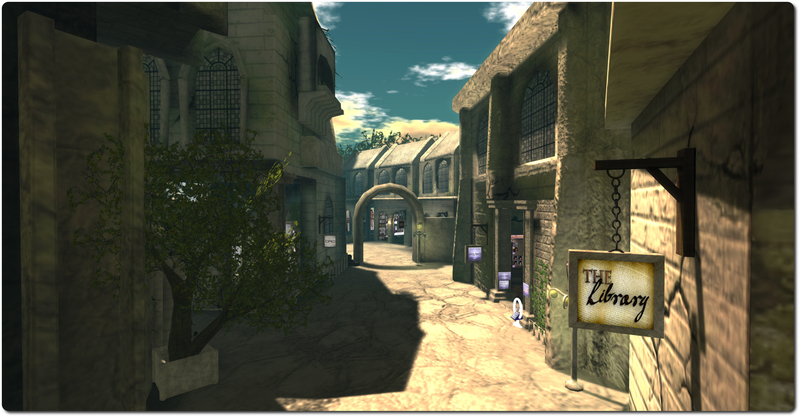 Follow the wooden walks far enough, and you’ll eventually find the Trade Winds tavern, a place perhaps to take a seat and rest a while from the hustle of the Faire and simply enjoy a drink and a chat with the locals. Just keep an eye – or better yet, a hand – on your purse! The tavern was leased by a group of pirates to raise the funds they need to repair their ship in order to sail home. How far they may go to achieve their goal, and whether or not any are still working in or near the tavern is open to question – but just in case some are still around, caution while drinking might be on order! Don’t worry about getting lost as evening turns to night either; lamps light the paths, whether on firm ground all along wooden piers, and the locals will always help a lost soul and point them in the right direction. So don’t be put off by the name or thoughts of pirates, Blackwater Glenn is a place of hidden beauty, waiting to be discovered!